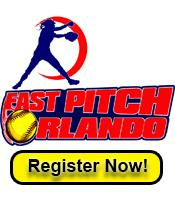 The Fast Pitch Orlando Website offers a variety of different ways to enhance your business' visibility and exposure on the Internet. The Internet is one of the largest driving forces of many businesses today. With millions of consumers looking for information about fast pitch softball it is important that you have a presence in this ever-expanding world. We strive to help you achieve greater growth and profitability through the Internet. Whether we are your primary source of Internet exposure or an extension of your current online marketing efforts, we offer several ways of advertising or promoting your business, service or event. If you are interested in "Web Only Advertising" please email us and we can help you develop the best strategy for promoting your business. We have programs for every budget.